Perth Custom Charters – Complete business for sale including trailable commercial vessel on licenced trailer. 2015 Chivers Marine aluminium 5.5m Centre Console powered by 115HP Yamaha outboard with only 312 hours on the clock. Cruise comfortably at 20 knots with 6 people and push out to 28 knots sprint when desired. Vessel is very presentable and is AMSA Survey exempt to 2D standards for Passenger, Training and Workboat classes. Business includes business name, website domains, email, Facebook page, Instagram page, Operations licences and more. 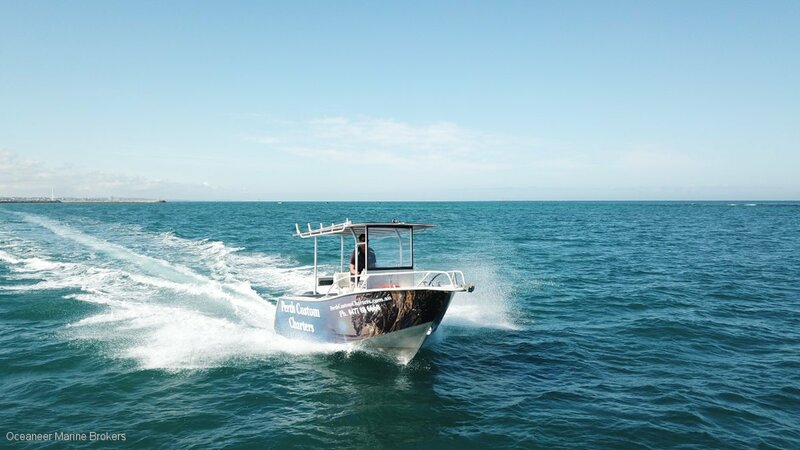 Please enquire with Oceaneer Marine Brokers for detailed inventory or to book in an inspection.